Our Choir President, Mary, is also on the Board of the Mimico Residents Association, and she wanted to share this upcoming event with choristers. Mary will be selling tickets after rehearsal today and next Thursday. 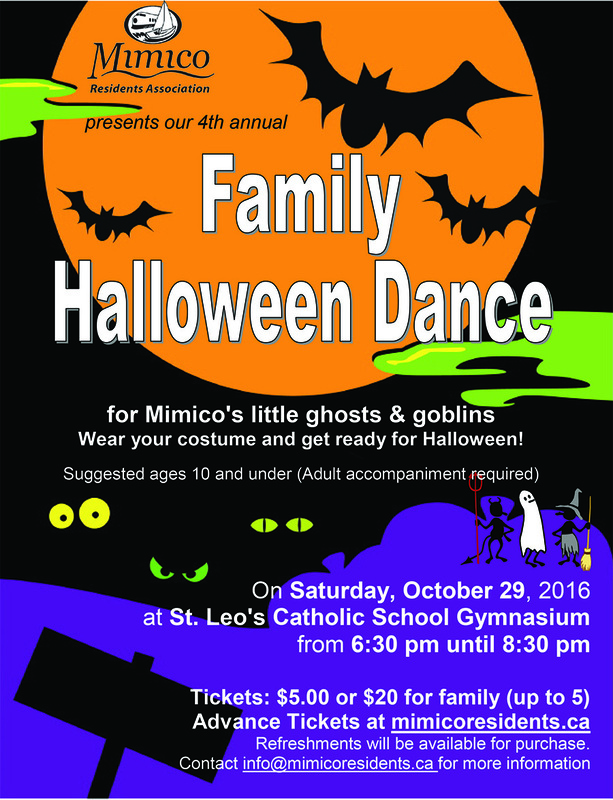 Join the Mimico Residents Association for some spooky, dancing fun at our 4th Annual Family Halloween Dance! Wear your costume, bring your friends, and enjoy crafts, face painting, treats and more! Tickets: $5 each or $20 for a family of up to 5. Kids 3 and under get in free. Purchase advance tickets at mimicoresidents.ca and save your spot! Limited tickets also available at the door.